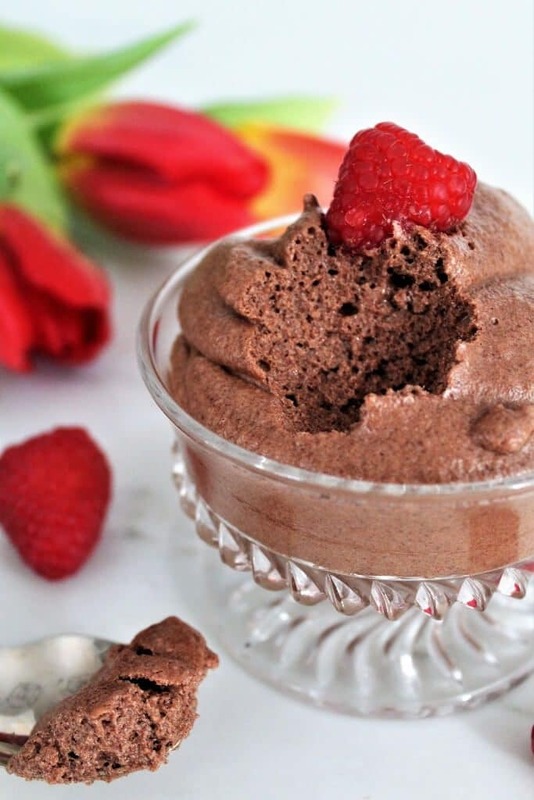 This aquafaba chocolate mousse is best way to make vegan chocolate mousse! Fluffy, rich, and creamy, yet with dairy free, gluten free, and nut free too. Made with aquafaba for an ultra-light and fluffy texture, but still rich and creamy like chocolate mousse should be! It’s fast! This dessert whips up about 10 minutes. It’s simple to make with simple ingredients that you probably already have in your pantry. It’s so fancy that your family will think you have turned into a gourmet pastry chef! It’s simply delicious! You won’t be able to get enough of it! The secret to fluffy mousse is aquafaba. If you haven’t heard of it before, it simply means the liquid from a can of chickpeas or the reserved cooking water from beans. When this liquid is beaten, it gets very fluffy and works up like egg whites when making meringue. How do you get this vegan chocolate mousse so fluffy? For this aquafaba chocolate mousse, I start with the same recipe that I use for aquafaba whipped cream. (You can double the recipe and take ½ out before adding the chocolate mixture. This way you will have whipped cream to use to top your mouse if desired). How do you make aquafaba chocolate mousse? Simply drain the liquid from a can of salt free chickpeas or white bean into a mixing bowl. There is usually about ¾ cup of liquid in the standard can. Use a mixer to beat the liquid until it gets foamy. Add ¼ teaspoon of cream of tarter to help it to hold its shape. Then continue to beat the liquid for 5 more minutes on high until it forms stiff peaks. Add 1 TBS of vanilla extract and beat for another 2 minutes. After you have whipped it for about 7 minutes, slowly add 2/3 cup of vegan powdered sugar, about 1 TBS at a time, while continuing to beat the mixture. (You can also use granulated sugar, but I have found that it maintains a fluffier smoother texture with powdered sugar). Continue beating for another minute or 2 until all of the sugar is incorporated and it maintains firm peaks. Now, turn off the mixer and melt ¼ cup of refined or triple filtered coconut oil and stir in ¼ cup of powdered cocoa into the oil. Pour the chocolate mixture into the aquafaba and mix again on LOW for 10 seconds. Just enough to get the chocolate mixed in. Do NOT over mix or you will have deflated mousse! Use a rubber spatula to scrape the edges and fold in any parts that didn’t get incorporated. Finally, pour the vegan chocolate mousse into stemmed glasses and refrigerate for a least 1 hour before serving. Beat the aquafaba for a total of 9 minutes to ensure that it doesn’t deflate. Once you add the oil and chocolate, only stir enough to get it mixed in. Over stirring once oil has been added will cause it to deflate. Allow it to set up in the fridge for at least 1 hour. It will be even slightly more firm after a few hours. 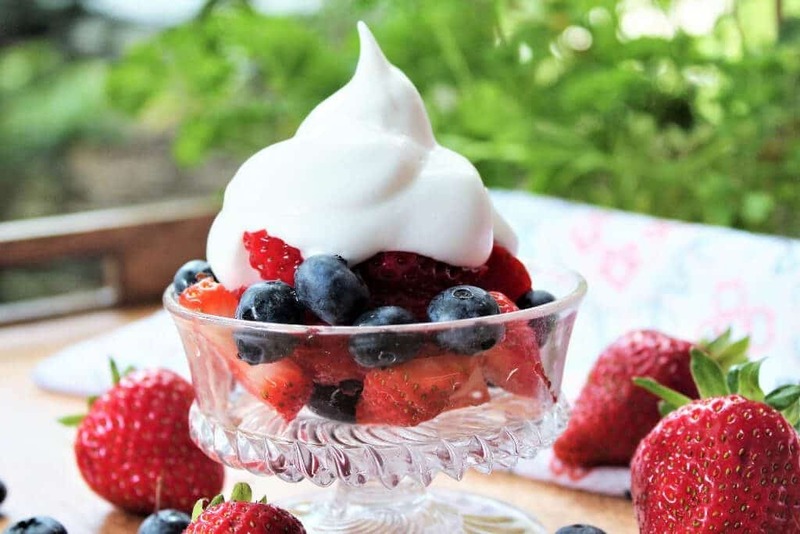 Top with berries or aquafaba whipped cream for an added treat! Replace the peanut butter in these chocolate peanut butter bombs with this vegan chocolate mouse for double chocolate mousse bombs! YUM! Did you make this? Leave a comment and let me know what you think! 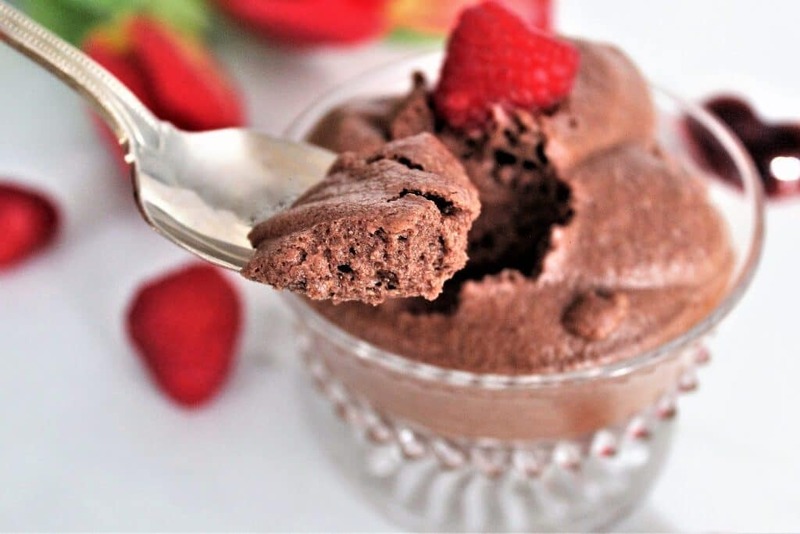 A light and fluffy vegan chocolate mousse that is gluten free, dairy free, and nut free. 3/4 cup Aquafaba liquid from canned chickpeas or white beans. Drain and save the liquid from a can of chickpeas or white beans. Pour 3/4 cup of the liquid in a medium sized mixing bowl. Use a mixer and beat the liquid until it starts to get foamy. Add the cream of tartar and continue to mix for 5 minutes on high until it becomes very fluffy and forms stiff peaks. Add vanilla and continue to beat for another 2 minute. (Total of 7 minutes so far). Slowly add powdered sugar while continuing to mix on high for 2 additional minutes until all vanilla and sugar are mixed in and the mixture if very fluffy. (This should equal a total of 9 minutes beating the aquafaba). 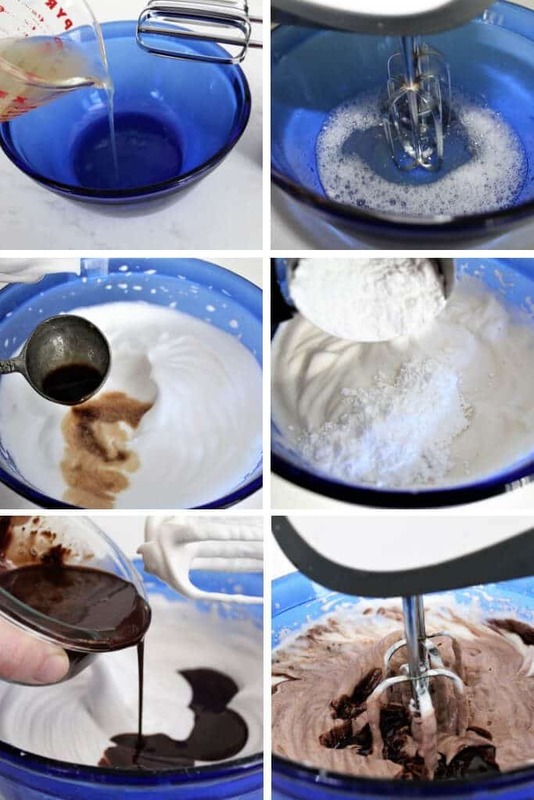 Turn off mixer and mix melted coconut oil and cocoa powder until very smooth. Pour chocolate mixture into the aquafaba mixture. Turn on mixer to LOW and beat for 10 seconds to get the oil distributed. (Do NOT over mix or you will lose the fluffiness)! Use a rubber spatula to fold in any sections that didn’t incorporate. Pour into pretty glasses and refrigerate for at least 1 hour in the serving containers. Make sure to beat aquafaba for the time stated in the recipe. You may substitute lemon juice for cream of tartar for the acid in the recipe. Once you add the oil, only mix for 10 seconds. It will start to flatten once the oil has been added. Will the texture come out okay without the oil? It will taste good without the oil, but it will be more like chocolate whipped cream. To make it set firmer and have the texture of real chocolate mousse, you need coconut oil since it is solid when chilled. I made this last night although I needed to sub shortening for the coconut oil due to allergies and I only had a can of mixed beans, not chick peas in my cupboard. Despite these sub’s it turned out beautifully, just like the “real” thing. Hi Monica.I’m Ramona from north Italy and after trying some of your recipes i must say….you’re a genius ??? 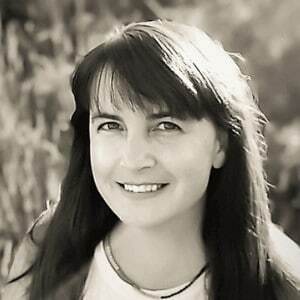 Hi Ramona – Thanks so much! You made my day! Love to hear that people far away are reading my blog! I would LOVE to see northern Italy one day! You deserve it Monica..?I live near by a small but lovely lake called Endine lake near Milan and if you’ll come in Italy let me know.I’m a mom of two kids like you and my not vegan family love all of your recipes. This came out so light and fluffy! Amazing! Thanks for sharing. So glad you liked it Liz! It’s one of my favorites!